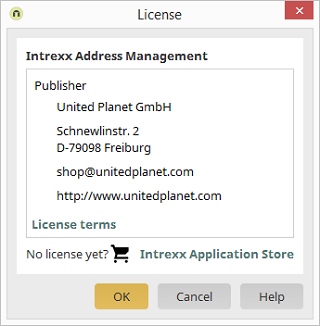 The name of the application and information about its publisher are provided at the top of the dialog. Opens a dialog where detailed information about the license can be read. Opens the corresponding page in the Intrexx Application Store.